According to celebrity news website, TMZ ,American rapper, Snoop Dogg took the meaning of hotbox to a whole new level on Thursday night, as smoke filled his hotel room in Australia . The intense smoke was said to have triggered a fire alarm in the hotel room as firefighters ran into his room thinking there was a fire outbreak. Here's what went down ... cops say "smoke from an unidentified source" triggered a fire alarm around 10am ... and firefighters who happened to be in the hotel rushed up to the scene to investigate the situation. But when they got to the room, the firefighters quickly realized there was no fire ... just a ton of smoke (duh, it's Snoop) ... though officials won't say if weed was involved. 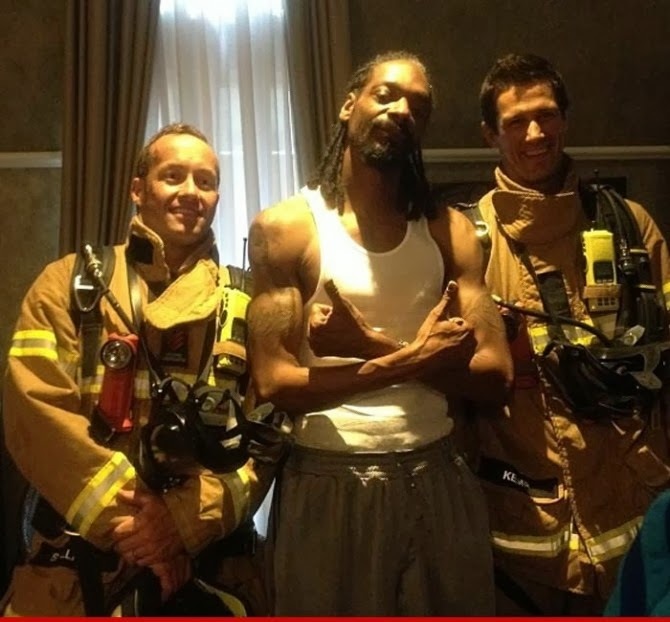 Once the situation calmed down, Snoop actually took some Instagram pics with the responders ... and talked about how he always wanted to be a firefighter. He does enjoy getting blazed.